Infocom and Z-Works first met during the new business innovation program “Digital Healthcare Connect” organized by Infocom in 2015. 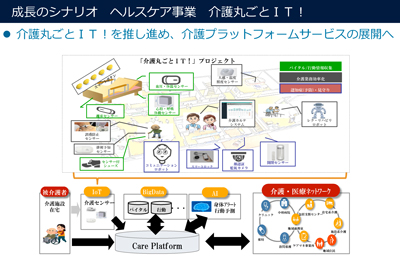 After Z-Works was announced as the winner during the Aging 2.0 event in October 2015, the two companies started to discuss a business partnership within IoT and elderly care. 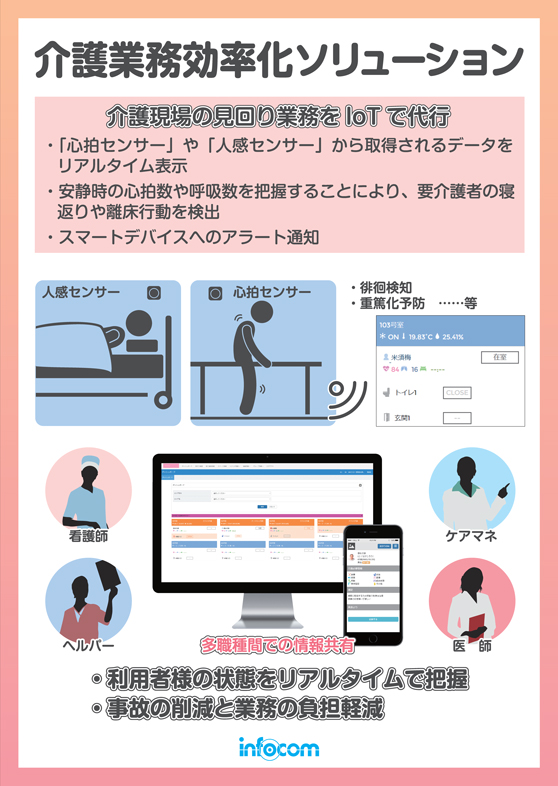 In February 2017, Infocom decided to invest in Z-Works and are planning to release their first product connected to the Z-Works platform later 2017 – the “CarePlatform”. 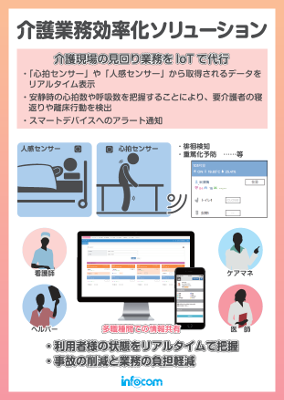 The service will use non-wearable sensors measuring heartbeat and motion data to collect movement, vital and temperature data which will be analyzed and used to notify the care staff of irregularities. By taking action when irregularities occur, senior could potentially be given better support at the same time as overall efficiency potentially could be improved. Want to know more about this case study ? © 2017 Z-Works All rights reserved.